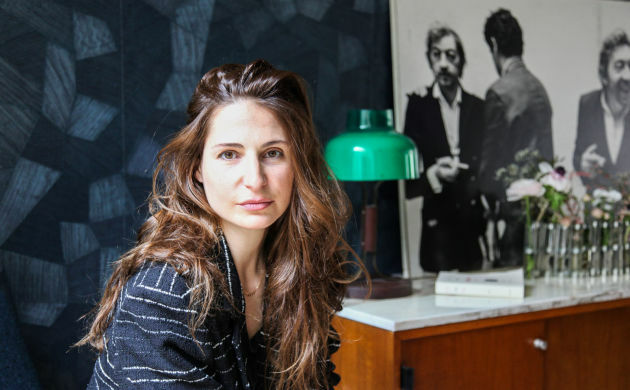 When the legendary Dimore Studio heads down to the depths of London’s famous Arts Club, it’s their vision that Emiliano Salci and Britt Moran are telling us about. That of a trip to the French Riviera in the sixties. At Leo’s, we can see the great delicacy and originality that characterises their work. The slightly muted colours evoke an era when time seems to have stood still, like an old piece of jewellery that you find at the back of a drawer. 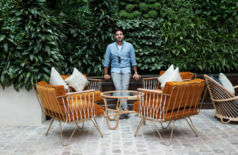 The star pair blend furniture and lamps from the period with their own designs, add wonderful textiles or revisit famous Knoll pieces, all in a bold colour palette, ranging from powder pink to dark green, clearly without skipping a beat. As eccentric as it is elegant, Leo’s is one of those places where it’s good to hang out. The nights are the time to be there, when the music booms out and the journey continues. Special encounter with general manager Jeremy Warcup and the Dimore duo: Emiliano Salci and Britt Moran. Leo’s at The Arts Club – 40 Dover Street, Mayfair. London W1S 4NP. Jeremy, what is the story of Leo’s? Leo’s is the supperclub and nightclub at The Arts Club. It has developed from our wish to keep improving and developing the club, and is a stunning new addition to our Georgian townhouse.We were lead by the sheer brilliance of the team at Dimore Studio; they have a distinctive aesthetic and interpreted our brief perfectly, creating a really elegant and inviting space for our Members, with nuances from 1950s, 60s and 70s Riviera clubs. What sort of events are organised in Leo’s at The Arts Club? 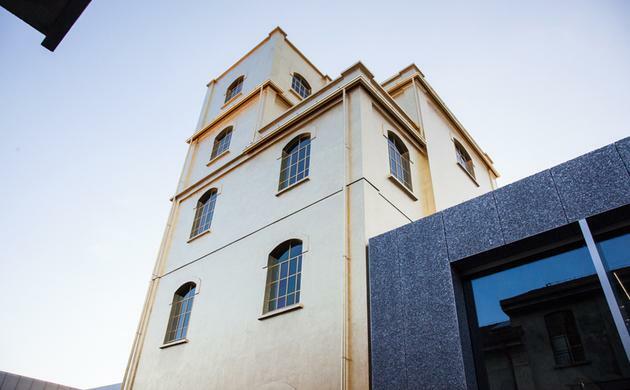 Leo’s plays host to a raft of events from our cultural programme, including artist talks, debates, panel discussions, performance art and of course our weekly live music programme of bands, DJs and headline performers. Recent examples include live performances by Emeli Sande and Rationale, art talks on both Basquiat and the Contemporary African Art Scene, and a fabulous Big Band swing evening. Emiliano, Britt : what were your inspirations for the new Leo’s Art Club? 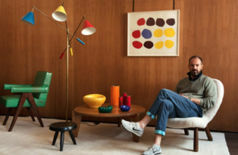 A Riviera Club in the 60s; for every project we do we come up with a theme. We imagined what would have been a Club in the Riviera in the 60s with a contemporary and ecletic twist (It is not a recreation of a certain space, but what we thought a club would be).We were also inspired by the movie “In the Mood for Love”’ , for the idea of the booth and the Chinese lanterns. Tell us more about the furniture? What kind of specific material did you use here? The color palette consists of deep forest greens, saturated purple, blush pinks, warm reds, orange hues and rich browns to create a true authenticity within the Georgian townhouse. Materials used include parquet with brass inlays, green Guatemala marble, pink perlino marble, mirrored and brushed steel, brass, pink mirror, green and pink velvets, floral prints fabrics, geometric colored patterns, cognac leather, green and purple carpets, lacquered enamels. 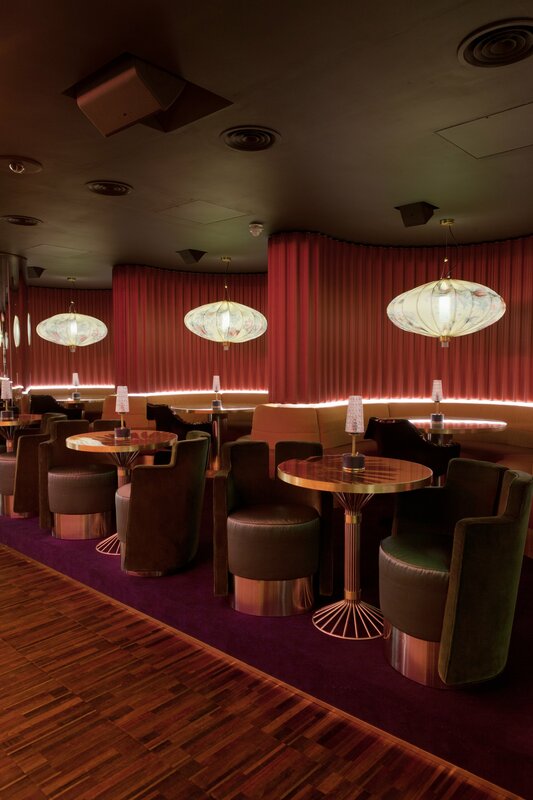 Elegance and contrasts are the key characteristics of the concept for Leo’s because it has been inspired by the Riviera Clubs from the Sixties revisited in a contemporary and eclectic way. A mix of contemporary, retro, and oriental elements, combined with mirrors and lights, will shape a soft, unusual and sophisticated environment. A sensual and intimate setting made of warm colours will convey a feeling of a blurred and indistinct memory, inspired by the fascinating environments of “In the Mood for Love”. How the space is organized? 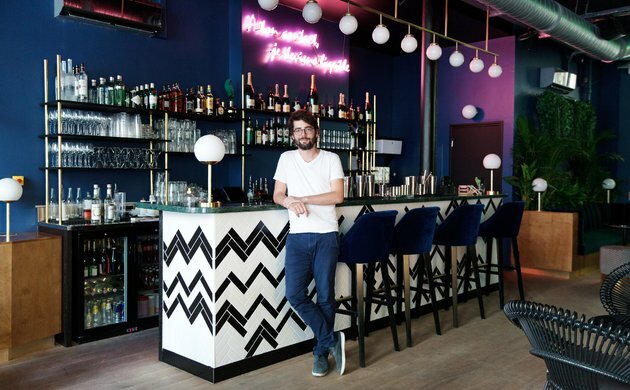 Leo’s is divided into two areas, a bar featuring dark wallpaper with a geometric pattern and a counter made of a lozanges grid of brightly colored rhombus and top in Guatemala green, the supperclub and nightclub. 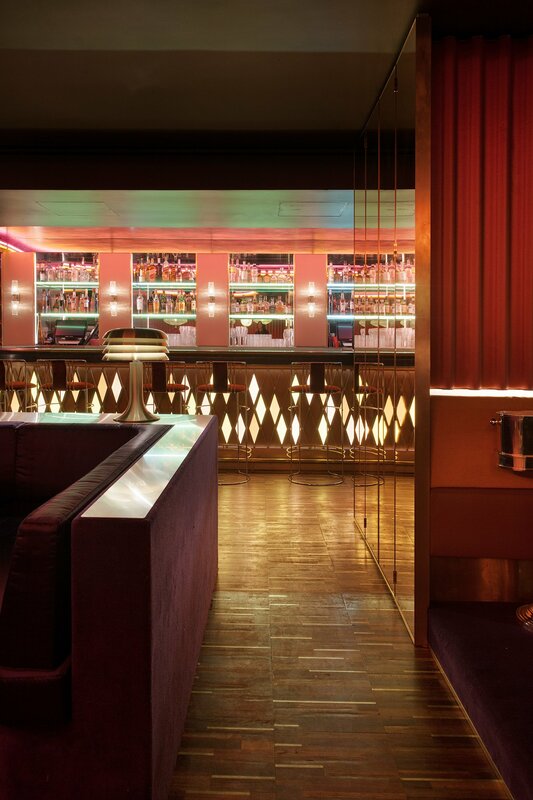 The parqueted floor of the nightclub has brass detailing. A deep hued purple carpet covers the surface of the platform, a long sofa in orange and cognac runs around the perimeter and delineates circular booth. 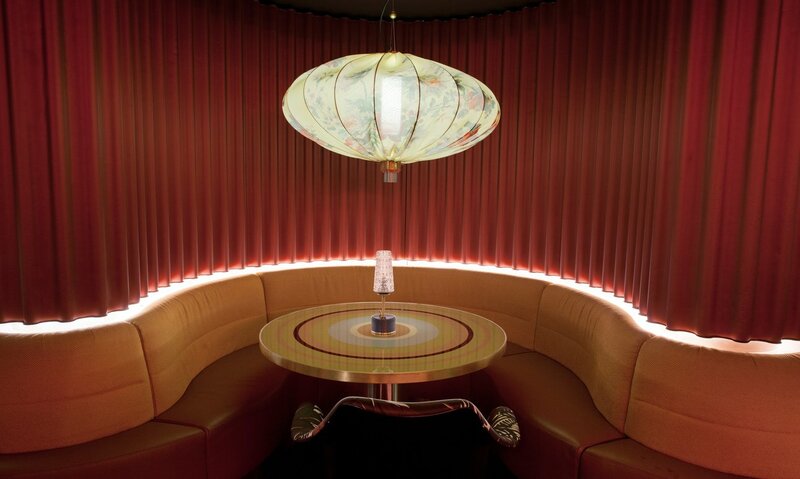 Each booth features a lamp in the shape of a lantern referencing to the oriental mood. 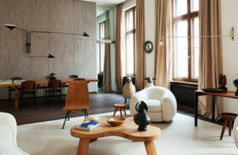 All furnishing are custom made – tables with central foot in brass and steel and top lacquered with concentric colored circles, or palm tree pattern, with the exception of the black lacquered Knoll Saarinen chairs upholstered with a flowery pattern. 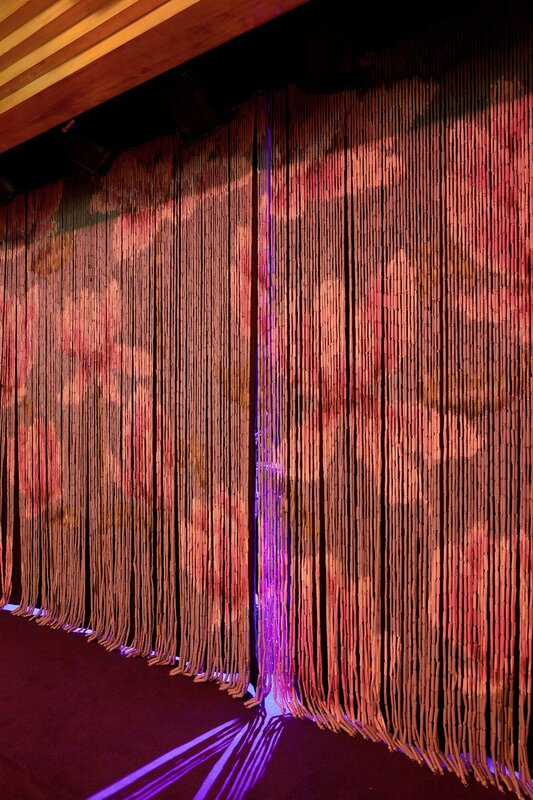 The stage features a brass portal and a hand painted curtain bamboo with a louts flowers white and pink on a pale blue background. What are these objects placed at the entrance? In few words, how would you describe Leo’s?